In a recent study submitted to Donald Trump administration, nine pro-Israel ‘think tanks’ have recommended that in order Islamabad to toe US-Israel policies in the region – the White House got to be more tough on Pakistan than it’s on the Islamic Republic. The study was prepared by ‘experts on Islam and Middle East’ from the Asian Studies Centre, The Heritage Foundation; Georgetown University; National Defence University, New America; Hudson Institute; Brookings Institution; Centre for Strategic and International Studies and the Middle East Institute (founded in 1946 by Jew millionaire George Keier). Several of these groups fund Islamophobia in the United States and in the West in order to make the US fight Israel’s proxy wars in the Muslim world. The ‘experts’ who compiled the report want the Trump administration to recognize that its efforts over several decades to strengthen Pakistan militarily have only encouraged Islamists in Pakistan to wrest Kashmir from India through force. The report urges the Trump administration to avoid viewing and portraying Pakistan as an ally and to deal with it as a non-ally, which has engaged in supporting the Afghan Taliban. Taliban militia was created by CIA and ISI with finance from Saudi Arabia in order to install a pro-US government in Kabul to confront Iran and China, and let the US exploit the Caspian Sea oil via a pipeline through Afghanistan to Pakistan’s Gwadar port on Arabian Sea in Balochistan Province. The US armed Afghan Mujahideen to destroy the Soviet forces occupying the country. President Ronald Reagan compared the Mujahideen leaders with America’s Founding Fathers during a meeting at the White House. “These gentlemen are freedom-fighters and the moral equivalent of the founding fathers,” said Reagan. Do these Zionist filth know that when NATO was created in 1949 as a counter measure Soviet Russian power – India was sitting in Moscow’s lap. For the US administration – the ‘acid test’ for being a ‘friend of USA’ has to foreign country’s blind support for the Zionist entity at every international forum. 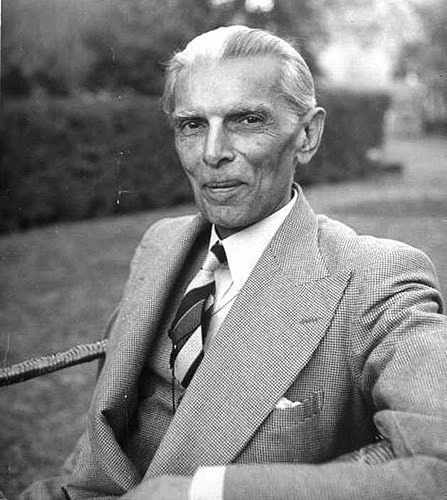 Pakistan is the only Muslim majority nation whose founder Muhammad Ali Jinnah met Mufti Amin al-Husseini in Cairo in 1946 even before the establishment of Pakistan on August 14, 1947. He told the Mufti that Muslims in India would never recognized the so-called ‘Jewish state’ in Muslim Palestine. Even Mahatma Gandhi had agreed with the statement as leader of the Khilafhat movement. Pakistan’s presidents, Gen. Pervez Musharraf and Asif Ali Zardari was removed by the White House over failing to recognize Israel. Pakistan has been China’s ally since 1949. Since last year, even Russia has joined Pakistan-China to end US-NATO occupation of Afghanistan since December 2001. Pakistan is only country among 57 Muslim majority states which has nuclear bombs. Anti-Muslim Donald Trump administration suffered its first political humiliation at the US Security Council (UNSC) on Tuesday when China blocked the US-sponsored proposal to declare Kashmiri resistance leader Maulana Masood Azhar as a Global Terrorist for the second time. The proposal was tabled on behalf of India, and its ally Israel. It was supported by Israeli poodles, United Kingdom and France among the five veto carrying members at the UNSC. Russia decided to abstain. “While claiming to denounce terrorism, India has in fact deployed terrorism as an instrument of state policy, and has itself been involved in perpetrating, sponsoring, supporting, and financing terrorism,” Zakaria said in a statement. In 2008, India and the Organized Jewry accused Masood Azhar for the Mumbai terror which turned out to be a Mossad false flag operation. 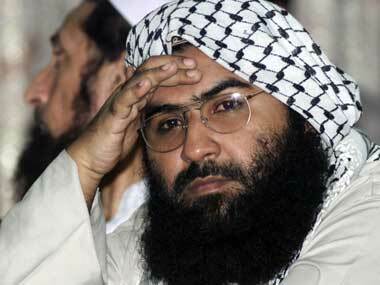 Masood Azhar, a Muslim cleric, is founder-chief of Jaish-e-Muhammad (Army of Muhammad) established in 2000. Though a Muslim Sunni sectarian organization – it supports Kashmiri Muslim resistance to 700,000-strong Indian army occupying Jammu and Kashmir Valley. Recently, India accused Masood Azhar of master-minding attack on Indian military base in Indian annexed part of J & K valley in September 2016 – killing 19 Indian soldiers. Pakistani authorities put him under house-arrest to please India. So far, Punjab-based Jaish-e-Muhammad is classified a ‘terrorist organization’ by India, the US, Australia, Canada, UK, Israel, and UAE. Jewish lobby ADL described Jaish-e-Muhammad as a “Sunni extremist group that conducts terrorist operations against Pakistan government and Indian interests in Kashmir as well as civilians.” For Organized Jewry, Jaish-e-Muhammad is another Al-Qaeda scapegoat for CIA-Mossad-RAW false flag operations. Bruce O. Riedel (Jew), former senior adviser to Obama on counter-terrorism, and currently employed by US-Israel citizen, billionaire Haim Saban at the Brookings Institute has claimed that Massod Azhar works for Pakistan’s intelligence agency ISI. I have always wondered why Arab hating American Jewish scholar Bernard Lewis called Muslim Spain as Jewish Golden Age? People in Pakistan and the liberated part of Kashmir Valley (Azad Kashmir) observed Kashmir Day on February 5 to show their solidarity with the Muslim majority (85%) Indian Occupied Kashmir in their struggle for self- determination every year since 2004. 160 million Pakistanis observed one minute silence to show their support for the Kashmiri freedom-fighters. February 5 is a national holiday in Pakistan and Azad Kashmir. Last year, Hindu professor Nivedita Menon (Jawaharlal Nehru University) speaking at a student event organized by Democratic Student Federation at JNU said: “Everyone knows India is illegally occupying Kashmir. Everybody accepts it (here). Hindu community in Pakistan makes 2% of country’s total population. Since Pakistan’s establishment on September 14, 1947 – not a single Hindu temple has been destroyed in Pakistan as compared to over 3,000 mosques destroyed in the so-called secular India. Pakistani Hindus are enjoying equal rights and playing significant role in the country’s development (here). In 2015, a Hindu girl Geeta was returned to India on Indian primed minister Modi’s request after taken care by a Pakistani Muslim family for 12 years. She was abandoned at age 5 by her parents visiting Pakistan because she was deaf and dumb (here). Pakistani film producer Irfan Malik released the first Pakistani movie on Kashmiri struggle (watch below) on Kashmir Day. Retired Pakistan Army Chief Gen. Raheel Sahrif, 60, has refused to command the Saudi-led 39-Muslim nation-states army alliance unless it is joined by the Iranian army, according to country’s most senior military analyst, Lt. Gen. (ret) Amjad Shoaib who had commanded army units in 1965 and 1971 wars against India, has told country’s media last week. According to Amjad Shoaib, Gen. Raheel Sharif agreed to accept the challenge on three conditions; he will not work under anyone’s command, the military alliance must include Islamic Republic of Iran in order that it doesn’t look sectarian (Sunni only), and he must have the mandate to act as an arbitrator if there is a need to promote harmony among Muslim countries. Anti-Israel Shi’ite-ruled Iran, Iraq, Lebanon, Yemen and Syria are not part of this Saudi-led military alliance. Washington had treated Gen. Raheel Sharif as a King in the past. When visited United States in November 2015, he was invited to the White House – an honor no other foreign army chief including Israel has received. He was also invited to the Capitol Hill to address two Congressional Committees including intelligence and armed services. Riyadh proposed to Islamabad that it would like Gen. Sharif to head the alliance in November 2016, a few weeks ahead of his retirement as commander-in-chief of Pakistan Army. Pakistan prime minister Nawaz Sharif told Saudi government that it would be honor for Pakistan. On January 8, 2017, British newspaper Guardian reported that Gen. Raheel Sharif had agreed to become the first commander of the Muslim NATO, fledgling military alliance of mostly Sunni Islamic states led by Saudi Arabia. The so-called Islamic Military Alliance to Fight Terrorism (IMAFT) was founded by Saudi defense minister prince Muhammad bib Salman al-Saud on December 15, 2015. Its headquarters are in Riyadh, Saudi Arabia. The coalition consists of 39 Western client Muslim states. Its main agenda is to further destabilize Muslim world behind the smoke screen of War on Terror, a Zionist scam for Israel. The Zionist Jewish ‘Security Think Tanks’ such as CFR, RAND, Global Security, Al-Monitor, Brookings Institute, etc. have declared IMAFT being kosher. For example, on January 22, 2017, Bruce O. Riedel, a senior fellow at the Jewish Brookings Institute, wrote at al-Monitor that the US and Saudi Arabia are the most suitable couple to fight Islamic terrorism which is threatening American allies in the Middle East. On Tuesday, representatives of Pakistan, China and Russia met in Moscow to discuss the Afghan conflict without inviting Afghan and Indian officials. This has irked governments of Ashraf Ghani and Narendra Modi which are united against Pakistan for latter’s active support for Taliban. Ahmad Shekib Mostaghni, a spokesman for the Afghan Foreign Ministry, said Tuesday that regardless of the intentions of the participants, excluding Kabul from the talks would not help the situation in the country. He called the conference illegitimate and dubious. The reality on the ground on the other hand, shows that there will never be a peace in Afghanistan without Taliban participation in such talks. In response to Ghani’s whining, Pakistan, China, and Russia announced on Tuesday that they would expand their tripartite consultations on Afghanistan conflict and include other neighboring countries such as Iran and India. United States had felt upset being excluded from Russia-Iran-Turkey alliance against its illegitimate baby ISIS, and is now uncomfortable over being left out from the three-way deliberations on the situation in Afghanistan which it invaded in October 2001 to divert world attention from the real terrorists behind the September 11, 2001 attacks – Israel. US-NATO is fighting its longest war in Afghanistan to destabilize three Muslim countries (Afghanistan, Pakistan, Iran) which refuse to accept Jewish occupation of Palestine. United States wants an anti-China-Russia, but pro-India regime in Kabul. Russia, which was defeated in Afghanistan two decades ago, is interested not only to take revenge on US-NATO occupation forces but also to stop Washington its proxy terrorist groups Al-Qaeda and ISIS in using Afghanistan as a launching-pad to destabilized Muslim lands occupied by Russia. Pakistan was the first Muslim country to recognize communist China in 1950. Pakistan also played a crucial role in ice-breaking between China and United States and US president Nixon’s visit to China in 1972. Since then, China has become Pakistan’s most trusted ally in peace and war. China has invested billions of dollar in Gwadar Port in Balochistan as China’s trade corridor to the world. To counter China’s ambitions, United States have force India to fund Iran’s Chabahar Port to the tune of $16.5 billion. The port located about 1,800 kilometers south of Tehran – is more than just a port with an adjoining free trade zone. But, the China-Pakistan Economic Corridor (CPEC) is much bigger and viable project than Iran’s Chahbahar. If Pakistan develops the project with speed, efficiency and transparency, it needs not be worried about Chabahar. The evildoers in Washington, Tel Aviv, and New Delhi are closely watching the current anti-government protests by the supporters of Imran Khan’s Tehreek-I-Insaf party government in Khyber Pakhtunkhwa province border Afghanistan. The protesters are demanding the resignation of prime minister Nawaz Sharif government aka a regime change in Islamabad. India under Modi government has become a launching-pad for US war on China in order to assert itself as the military bully in the region and an Indian Ocean power. India is collaborating with the US to limit Chinese economic and strategic influence in South Asia and the Indian Ocean island-states, while drawing on US support to pursue its own great power ambitions, particularly its reactionary and incendiary rivalry with Pakistan. 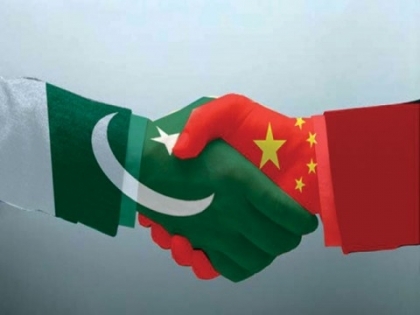 Both the US and India fear brotherly relations between Islamabad and Beijing especially after 2011 when Beijing gave a clear-cut ultimatum to Washington that any attack on Pakistan would be construed as an attack on China. “US ambitions to prepare India against China and to punish Pakistan for joining China are so alarming and dangerous for the peace in the region. The US-India nexus against the encirclement of China and Pakistan can be observed from South China Sea to South Asia,” says Tayyab Baloch, Pakistani journalist and blogger. Indian Hindutva government, and its Hindu media in collaboration with Jewish-controlled US officials and media are now backing fully not only Indian butchery in its occupied part of Jammu and Kashmir state but also Indian army’s illegal attacks on Pakistan administered Azad (Free) Kashmir Valley. Today, Imran Khan made a U-turn by announcing that instead of a protest rally on November 2, his party will hold a peaceful Thanksgiving rally! I’m glad it would save a few lives and millions of dollars worth business. Gen (ret) Mirza Aslam Beg, former Pakistan’s Chief of Army Staff (1988-91) has penned an article, entitled, The phenomenon of regime change in Pakistan, which is worth studying to understand the evil hands behind the ongoing efforts to destabilize the only Muslim nuclear power in the world. However, I must warn the readers that Mirza Aslam Beg, like late Gen. Hamid Gul, is also hated by the Organized Jewry for being an incorruptible soldier. “Regime change in Pakistan now being attempted is very similar to 1977, with Imran Khan playing Asghar Khan’s role. But the problem is that General Raheel Sharif is a man of the world, and supports the democratic process. Therefore a wedge was to be created between the civil and military leadership, while IK was to lay the siege to the government at Islamabad, which may extend beyond 27 November when the new Army Chief will take-over, whose preferences are not known yet. Whereas the conspiracy has already begun. The Islamabad security leaks have made the first dent in civil military leadership preceded by a very intriguing article, which appeared in daily Dawn on October 2, 2016, under the title “The Rise and Fall of ‘General Glasnost’”, warning General Raheel, that like General Aslam Beg, soon after retirement, General Raheel too will be targeted, distorting his image of a popular general, considered a threat moving about in the corridors of power – an exclusive domain of the political leadership,” writes Gen. Beg. On October 23, 2016, a week-long world’s first ever Physical Agility Combat Efficiency System (PACES) tournament concluded at the Fortress Stadium in Lahore, Pakistan. Army Services Sports of Pakistan won the first International PACES Competition. Army teams from 16 countries including China, Australia, Bahrain, Bangladesh, Indonesia, Jordan, Kazakhstan, Saudi Arabia, Maldives, Malaysia, Nepal, Sri Lanka, Turkey and England participated in the world’s first ever military tournament (watch video below). Chief of the Army Staff Gen. Raheel Sharif was the chief guest who also gave away medals and prizes to all the winners. Listen his speech below. Pakistan military taken active part in several sports especially field hockey, boxing, and polo, and have won several award at international and regional competitions. Of the twelve athletes selected to take part in the Olympic Games in 1960, eleven belonged to the Army. Last year, Pakistan Army won the gold medal at an annual international military patrolling exercise, ‘Exercise Cambrian Patrol’ held in the UK. In August 2016, Pakistan army won international snipping contest in Beijing. The folks at Global Firepower have ranked Pakistan army being 17th most powerful armies headed by the US, Russia, China, and India.